If you’ve watched the movie “Robocop,” then you definitely know about Detroit. However, the real Detroit is not as high-tech as the movie, but its properties uses roofs that new technologies have enhanced throughout the years. 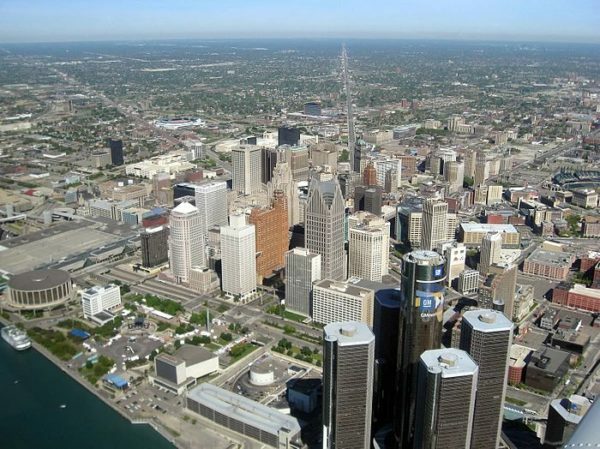 Known as the most populous city in Michigan and the founding city of major automotive brands such as Ford, Dodge, Packard, and Chrysler, the city has a bustling industry with hundreds of thousands of properties. Yearly, these properties suffer from intense storms capable of dislodging or fatally damaging roofs. This is where Miller’s Home Improvement arrive to help our trusting clients take care of any roofing problem. Miller’s Home Improvement specializes in everything roof-related. From minor roof repairs to complete roof replacement or installation, we are the company best for properties in Detroit, Macomb Township, and surrounding areas in Michigan. Our teams only work with top-tier equipment and materials to deliver the masterful work we aspire for each project. We are a residential and commercial roofing contractor who takes pride in our years of experience. For residential shingle roofing projects, we only use shingles only from Atlas projects. We also repair, replace, and install the following roofing materials for any project. Residential and commercial properties across Detroit and surrounding areas have always found an excellent roofing solution in the hands of the roofing teams from Miller’s Home Improvement. We are dedicated to deliver top quality service to guarantee the long lifespan and durability of any roof! Roofs are a major part of any home. Sometimes, situations will put your finances on the line during a time you need a roofing service the most. We can help. We have been in the industry for decades helping hundreds of homes across Detroit and Michigan’s towns and cities. Our teams have undergone comprehensive training from operating equipment to the newest and most effective roofing repair, replacement, or installation methods. We take pride in our work and the materials we use. We provide a lifetime warranty of 30-50 years on all our work and the materials we use.